INSTANT AERATION: With the push of a button perfectly aerated wine is delivered straight to your glass. EASY: Fast, easy to use, and clean. No lifting, aiming, spilling, or waiting. 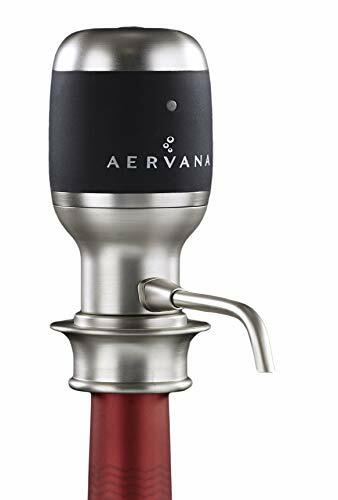 BEST IN CLASS: The Aervana process provides more air contact surface to speed oxidation than any other aerator. UNIQUE: Only aerator designed to keep wine sediment in the bottom of the bottle and not in you glass. If you have any questions about this product by Aervana, contact us by completing and submitting the form below. If you are looking for a specif part number, please include it with your message.